Russia, Moscow, the Moscow Kremlin workshops, second half of the XVIIth century. Gold, precious stones, embossing, enamel. 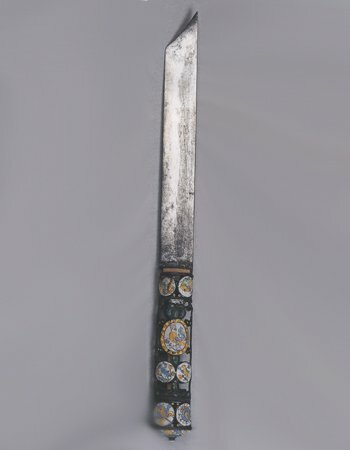 Belonged to Tsar Alexei Mikhailovich. Vyatka, the late XVIIth century. Solvychegodsk, the late XVIIth century. 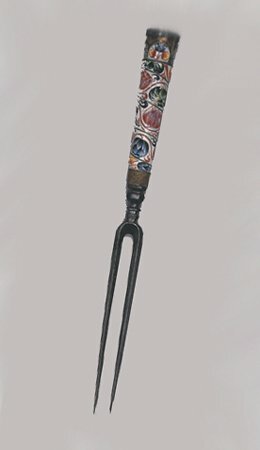 Serving items of Old Rus included spoons, two-pronged forks and knives. 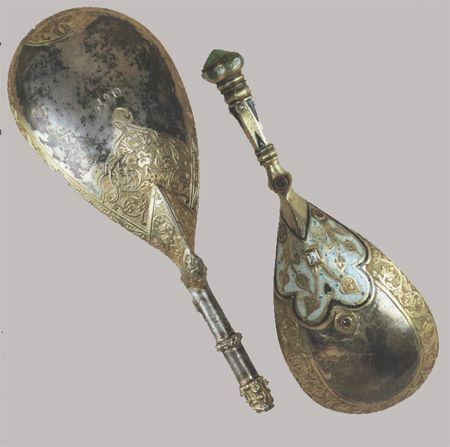 Cutlery at the court was executed of precious materials; ordinary people used wooden utensils. 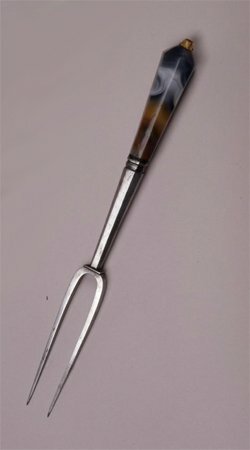 Prior to the late XVIIth century, knives and forks were hard-to-get goods, given only to privileged guests on special occasions. 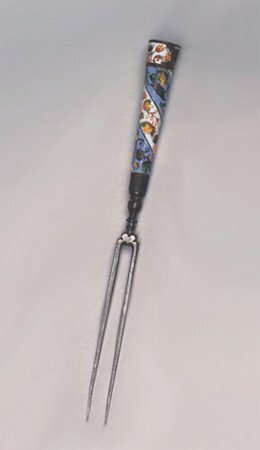 Precious items served as kitchen utensils as well as table decorations. 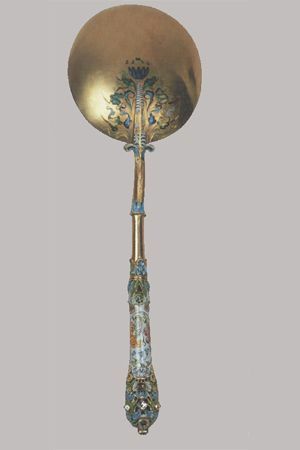 During the XVIth-XVIIth centuries handles of serving items were executed in various forms and decorated with gilding, carving, inscriptions, precious stones and enamels.